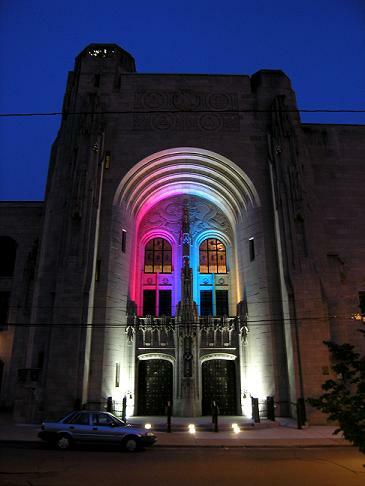 This year the Scranton Cultural Center at the Masonic Temple celebrates its 80th Anniversary. This is an architectural wonder which goes two floors under ground and 4 above!!!! THe interior is amazing and it is well worth the tour if you are ever in Scranton. WE WOULD LIKE TO THANK MATT FLYNN AND STEPHANIE FOR BEING SUCH GREAT HOSTS. ALSO THANKS TO JIM STEWART, WHO CAME ALONG AND HELPED OUT ON OUR CREW THAT DAY! 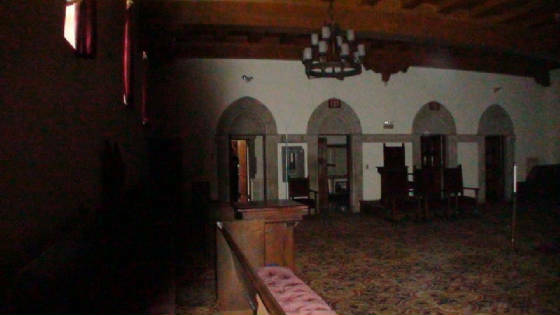 WE HAD MANY EXPERIENCES HERE AT THE MASONIC TEMPLE AND GOT A GOOD BIT OF EVIDENCE. WITH ITS LONG HISTORY, THIS PLACE HAS MANY GHOSTLY VISITORS. BATTERY DRAIN OCCURED TO ALL OF US AT VARIOUS POINTS, TAKING WHAT WAS 5 HOURS DOWN TO 4 MINS IN AN INSTANT! THE GHOSTS HERE WERE HUNGRY FOR ENERGY AND WE FED THEM! HAVING 2 MASONS WITH US AND A THIRD WHO IS JOINING, I SENT TEAM 1 UP TO THE TOP TO WORK THEIR WAY DOWN. 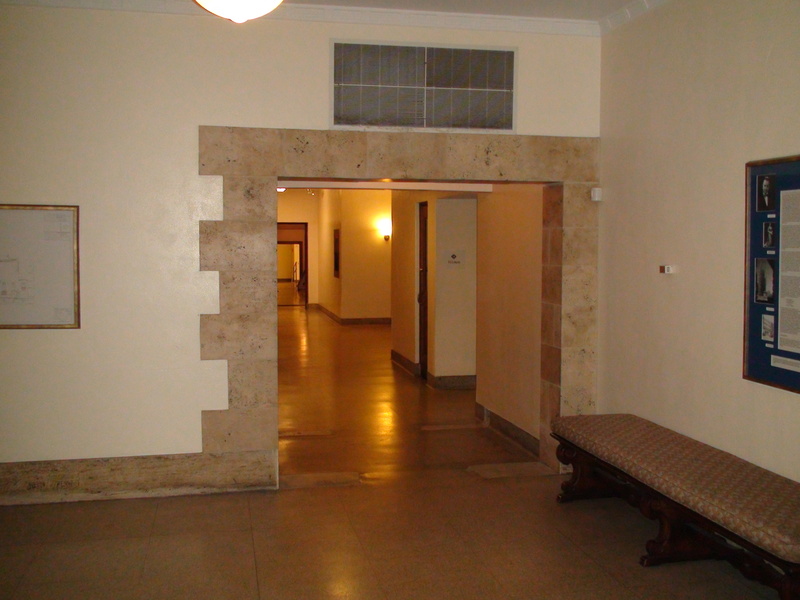 MY LOGIC HERE WAS THAT WHEN THEY WENT INTO THE MASONIC HALLS, THEY WOULD NOT SCARE AWAY ANY SPIRITS WHO MIGHT BE DEFENSIVE ABOUT THEIR SECRET ROOMS. THIS WORKED TO A POINT. 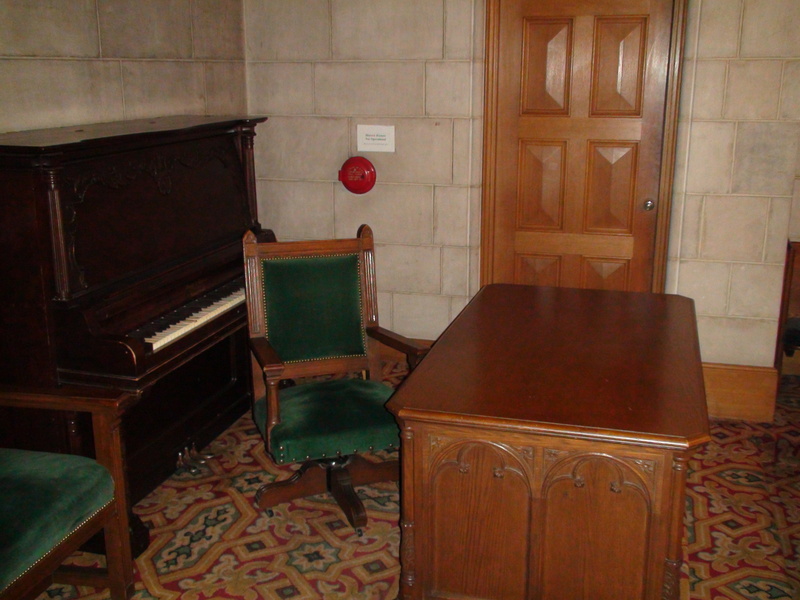 WHILE IN ONE OF THE LODGE ROOMS, MATT GOT A CLASS A EVP SAYING "LEAVE". DOUG FOLLOWED IT UP BY ASKING IF HE UNDERSTOOD THAT THEY WANTED US TO LEAVE AND HIS RESPONSE WAS "YOU HEARD ME..."!!!! NOT A BAD START! WHILE ALMOST EVERY INITIAL CONTACT SAYS "LEAVE" OR "GET OUT", YOU HAVE TO REMEMBER, TO THEM IT IS LIKE EVERY SALESMAN YOU EVER SAW WALKING UP TO YOUR HOUSE, WALKING IN AND HELPING THEMSELVES. SO YOU'RE INITIAL RESPONSE WOULD BE "GET OUT". ONCE THEY SEE THAT WE ARE NOT THERE TO HURT THEM OR DAMAGE THE PLACE, THEY OFTEN COME AROUND AND TALK TO US. SO WHILE TEAM 1 IS UPSTAIRS, JULIE AND I WENT TO THE BASEMENT/SUBBASEMENT WITH MATT FLYNN. MATT TOOK US THROUGH THE 2 LEVELS BELOW GROUND AND SHOWED US AROUND. WHILE WE WERE GETTING THE TOUR, WE GOT EMF SPIKES WHERE THERE SHOULDN'T HAVE BEEN ANY, SO WE KNEW SOMETHING WAS UP. AFTER MATT FINISHED THE TOUR, JULIE AND I WENT BACK DOWN TO THE SUB-BASEMENT TO TRY TO MAKE CONTACT, WHICH WE DID. THERE ARE SOME ROOMS IN THE SUB-BASEMENT THAT USED TO HOUSE THE "FIREMEN"(GUYS WHO WOULD STOKE THE STEAM BOILERS WITH COAL). THESE GUYS WOULD ACTUALLY LIVE DOWN THERE AND IT IS A DARK SCARY PLACE TO MOST PEOPLE. IN ONE OF THE ROOMS WHERE WE HAD GOTTEN ENF SPIKES, WE MADE CONTACT WITH A DEEP VOICED MAN WHO TOLD US HIS NAME WAS ROBERT OR BOB. THIS WAS CONFIRMED LATER WHEN WE COULD CLEARLY HEAR "BOB, I AM BOB". WE TALKED TO BOB FOR AWHILE AND WHEN HE DID NOT ASK FOR HELP, WE WENT ON OUR WAY TO INVESTIGATE OTHER AREAS IN THE DARK DEPTHS! AFTER AN INITIAL RECON, THE TWO TEAMS MET TO DISCUSS WHAT WE HAD FOUND AND SHARE EVPS. IT WAS AGREED THAT MATT HAD A CLASS A AND WE SHOULD FOLLOW UP ON THE 3RD FLOOR FIRST, WHERE THE LODGE ROOMS ARE. WE WENT INTO SNYDER HALL FIRST AND HAD SOME CONTACTS ON THE VIDEO, BUT DID NOT GET ANY EVPS. SO WE WENT INTO THE OTHER HALL(GASDEN?) AND SET UP TO DO AN EVP SESSION. THEY WOULD NOT TALK TO ME(NOT A MASON), BUT WHEN DOUG ASKED WHY THEY WOULD NOT TALK TO ME YOU HEAR ONE WORD VERY CLEARLY..."MASON", MEANING THEY WERE MASONS AND I WAS NOT! MATT'S GRANDFATHER WHO WAS A MASON DID REPLY TO OUR QUESTIONS AND WE HAD AN UNEXPLAINED SNIFFLE ON PLAYBACK THAT WAS NOT ANY OF US! AFTER AWHILE WE DECIDED TO CONTINUE ON TO THE SECOND FLOOR. People often ask me, "Do ghosts appear at a certain time of the day?" Well, the second floor to the Masonic temple would answer that question. The truth is that ghosts do not care what time it is and anyone who tells you different is lying. We have gotten some of the best evidence at 10 am, 2:34pm, 5 pm, so there is no "dead-time". The proof, we investigated the Masonic Temple in the middle of the day and got all this evidence! As we were headed to the Library, I noticed a set of steps off to the side, and Matt told me that Matt FLynn had thought he saw a light at the bottom when they passed by earlier. So up I went. At the top I got a contact and when I pulled out a digital audio recorder, we got some interesting answers. The guy at the top step was very loud and vocal. I asked if he like these steps becasue few people come up here and he can hide, the answer was "YES"
TELL ME WHAT YEAR IT IS? After we had talked to the guy on the steps for a bit, we decided to go back down to the sub-basement and see if "Bob" would talk to us again. Julie led the way and we stopped off at the door to the stairs in the old kitchen. This is where we had high EMF spikes before and sure enough we got them again! EVP's were not the best here, but from our questions we had gotten that this was a woman who used to work in the building. It was Julie who had luck talking to this lady in the kitchen. Onward we went into the dark basement. Upon reaching the rooms, we felt temperature drops and started our recorders. We had luck making contact with our deep voiced spirit Bob, who let us know he was still there!! From there we worked our way up to the next level, basement 1, and started searching. At this point, our group of 5 broke down and people drifted apart, EVPS were impossible, although Matt and I tried to continue, even getting something in one of the dressing rooms. A group larger than 3 is doomed to break up into two groups or more and this is what finally happend, but I must say this team did pretty well for awhile with 5. At the end of the investigation, we all sat down and talked with Matt and Stephanie about what we had found that day. It was a pleasant ending to a pleasant day. After thanking Matt and Stephanie, we broke down the equipment and took a photo outside. 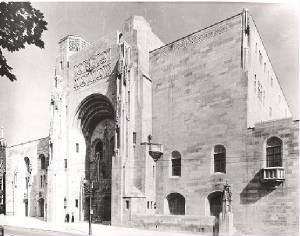 We will be back for an overnight at the Masonic Temple, that is for certain! 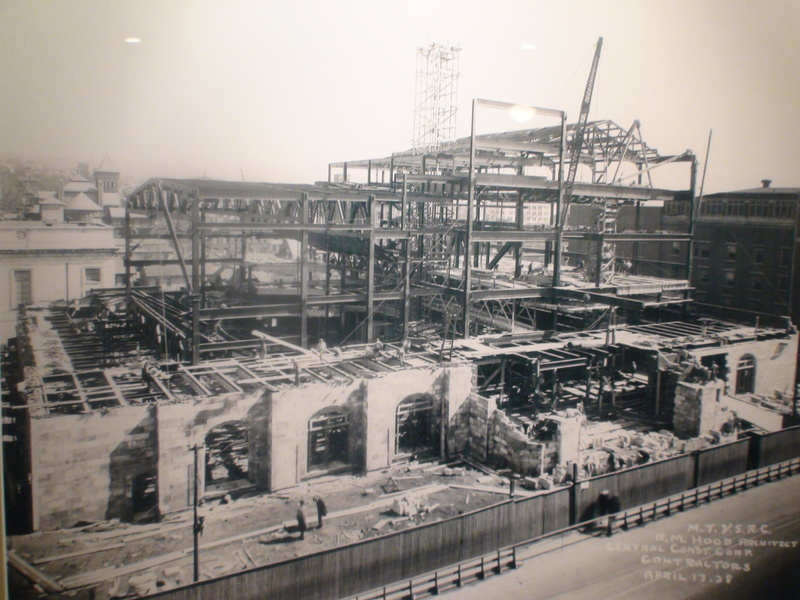 Doug McReynolds tookk this picture inside one of the masonic halls. The dark area on the left is interesting but certainly can be explained by curtains on the window. 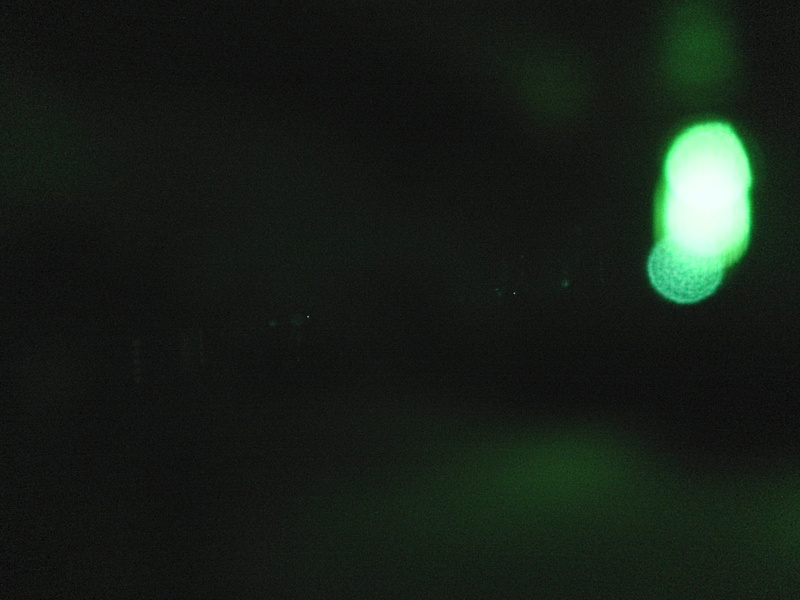 ON the right are what appears to be orbs and a shadow that should not be there.